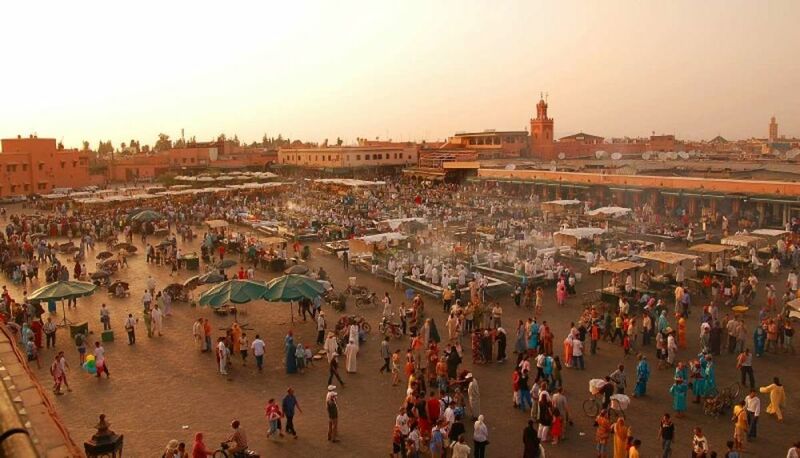 To start your 2 days desert tour from Marrakech, we will pick you up at your hotel or the airport at around 09h00. 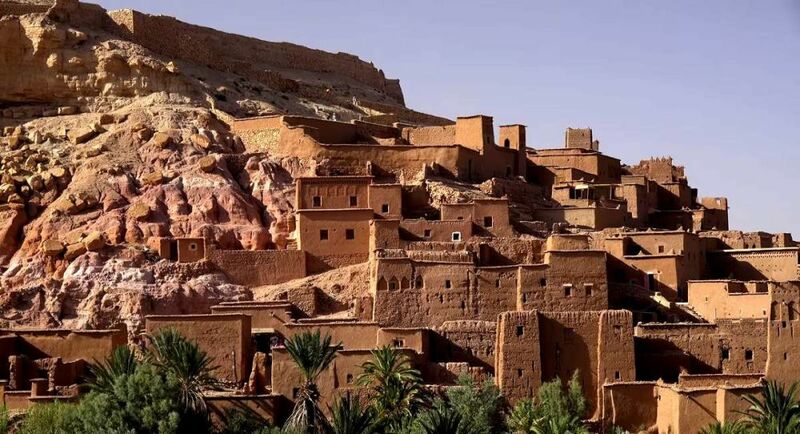 We will take the road to Zagora along a mountain pass called Tizi n’Tichka which links the south-east of Marrakesh to the city of Ouarzazate through the High Atlas mountains. 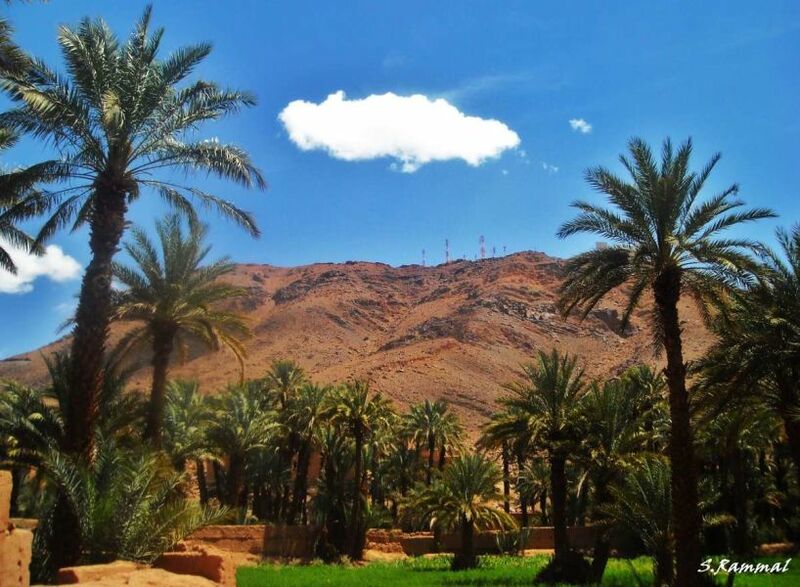 On our way, we will enjoy the exciting mountain views, the breathtaking landscapes and the villages along the valleys and above the rivers, until we reach the city of Ouarzazate(195KM from Marrakech) which will be our first station during this short Marrakech desert trip. 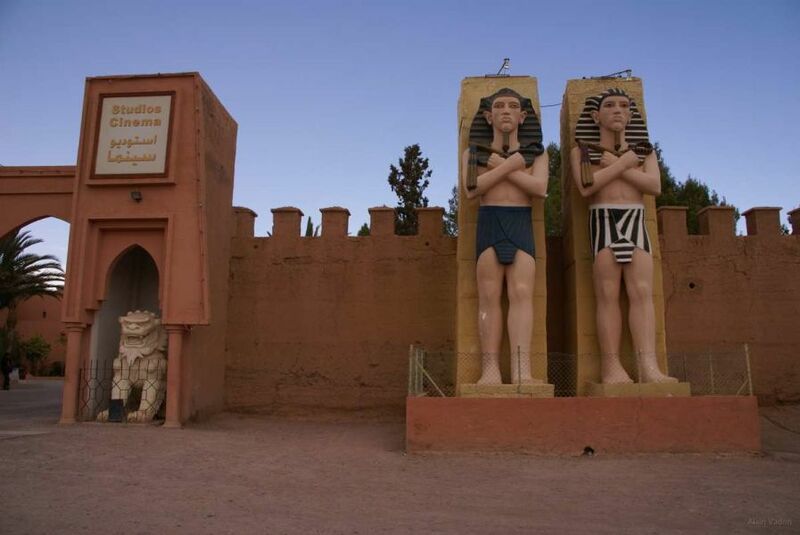 After visiting Ouarzazate and its tourist attraction, we will continue our desert tour towards Zagora. 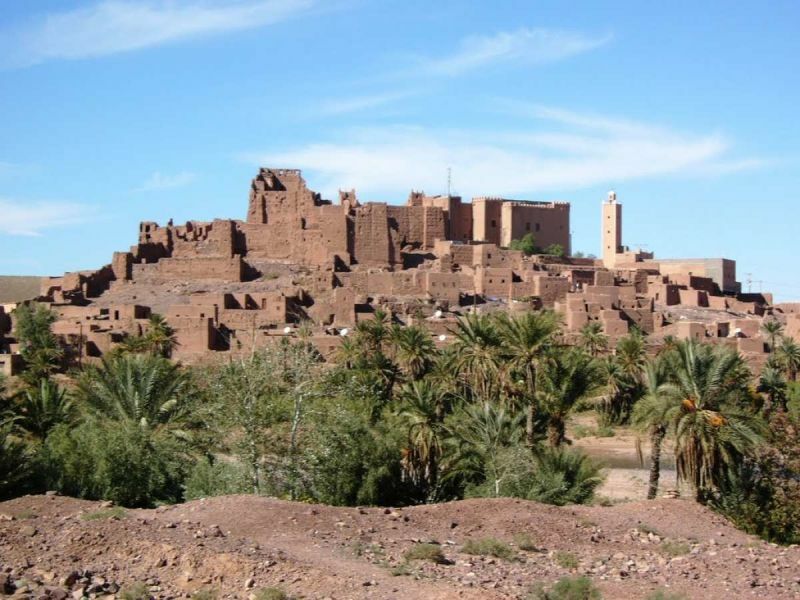 During our trip to Zagora, we will pass by the impressive Draa Valley, the biggest palm grove in all of Morocco, and a lot of kasbahs until we arrive at Zagora. 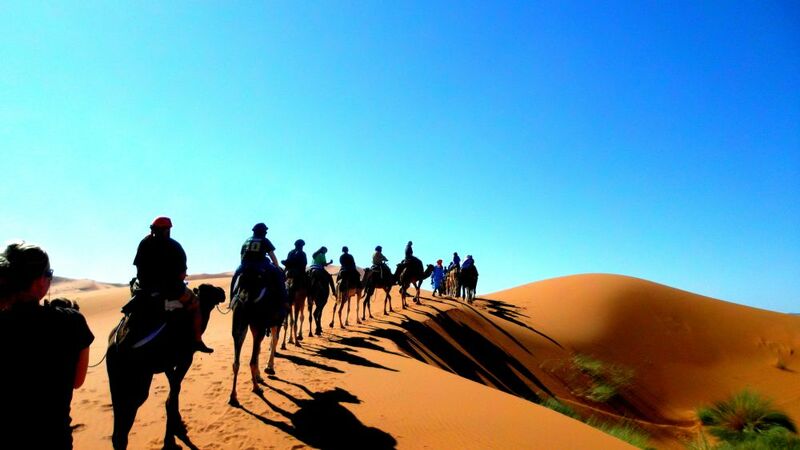 In Zagora, we will find our camel train waiting for us to us on a desert camel ride. 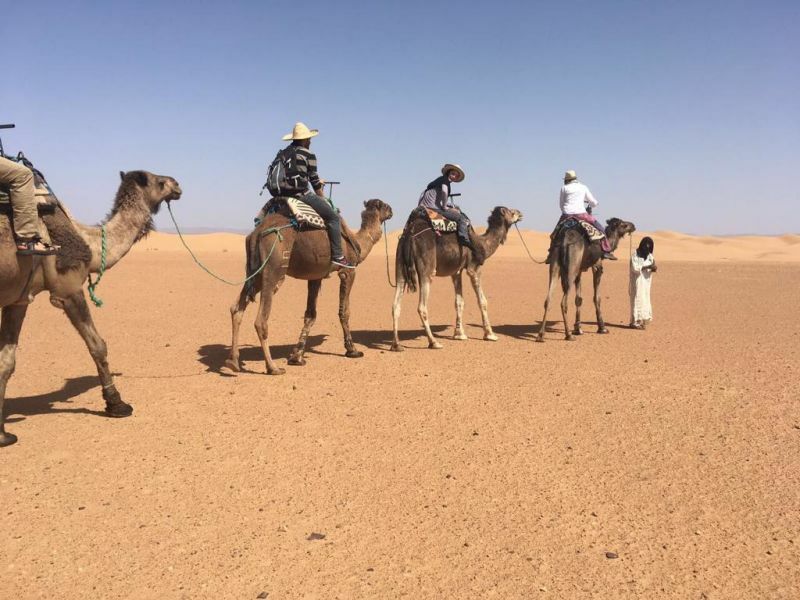 Once we finish our camel trek, we will go to our desert camp to enjoy the rest of our day with local inhabitants and maybe, we will meet some Touareg hosts and enjoy their musical show. 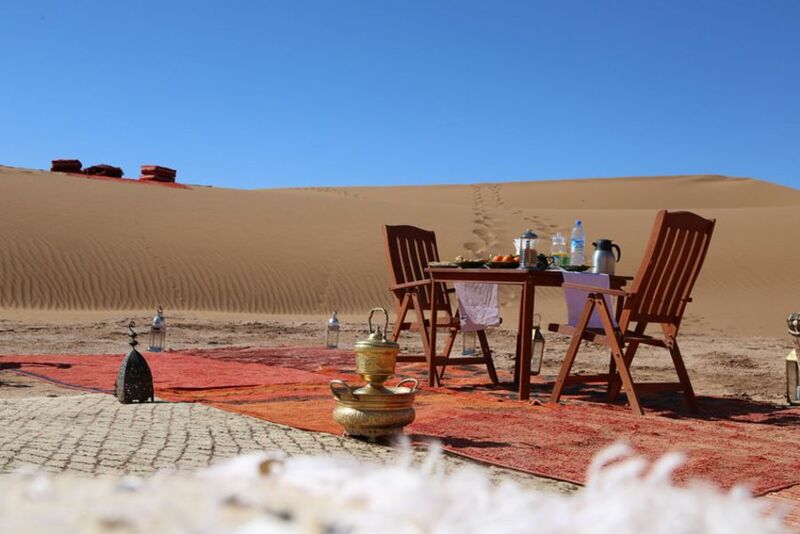 At around 9h00, we will take a typical Berber breakfast and leave our desert paradise towards Marrakech. Before reaching Marrakech, we will stop for lunch at a very interesting Kasbah, Kasbah of Ait Ben Haddou(UNESCO World Heritage Site). It’s one of the most attractive kasbahs in Morocco. 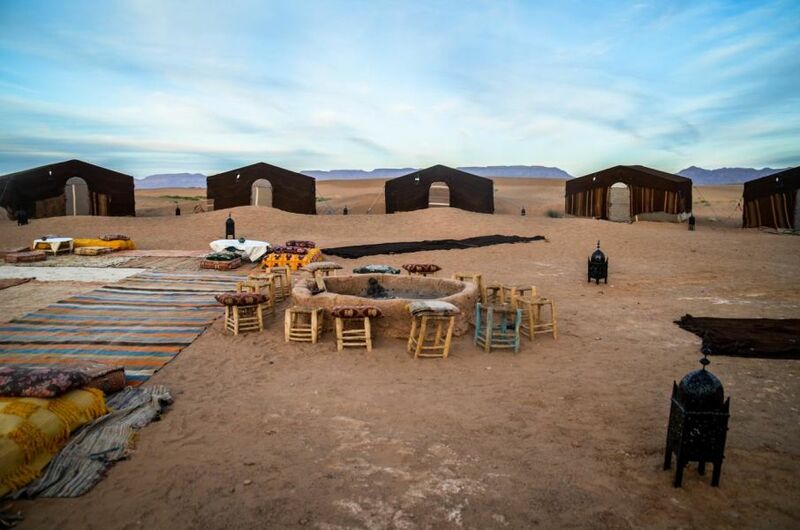 After taking our lunch in the Kasbah of Ait Ben Haddou, we will resume our desert trip to Marrakech.